I want to interrupt my normal blog to share an good illustration of how we should be living life. Robin and I were driving home yesterday from a vacation in southern California. We drove to Redding and set out early the next morning so we could see Mt. 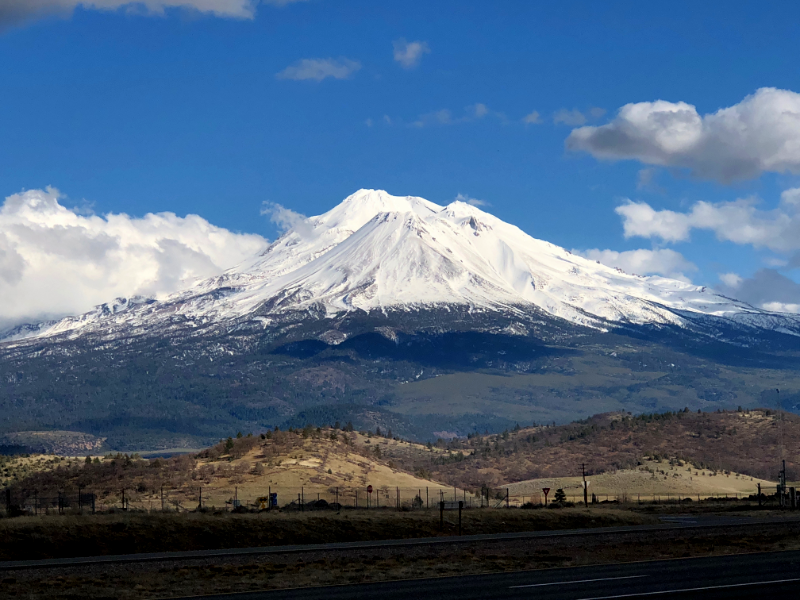 Shasta in the early morning light. To say it was spectacular is an understatement. As we drove about half way around, our windshield was getting pretty messed up with dead bugs, but I didn’t really notice. My eyes were focused on Mt. Shasta, and the bugs (or what was left of them) didn’t affect my vision. It is kind of like when rain starts to fall and you don’t really need your windshield wipers. Robin prefers me using the windshield wipers pretty quickly; the wet windshield blocks her view. But I hate noise, especially the sound of rubber blades pushing across glass when there is not enough water to hush the sound. I am comfortable focusing past the water onto the road, and the water rarely gets in my way. Of course, whether it is dead bugs or drops of water, eventually you have to take care of them. You have to stop to get gas and clean off the bugs, or if it rains harder even I have to turn on the windshield wipers. We are surrounded every day with things of beauty, things that we can focus on and see God, being reminded of his greatness. We are also surrounded every day with the bugs of life, the annoyances that so easily distract. Conflict in relationships. Lack of fulfillment in our work. House chores. Unfulfilled dreams. Worship music that is too loud and poorly written. So we have a choice. We can focus on the bugs and go through life defeated and miserable, dragging everyone around us down to our pit, or we can focus on Mt. Shasta, be reminded of who God is, and deal with the bugs when we have to. It would be a pity to miss Mt. Shasta because of a few dead bugs. I have long debated with myself as to the purpose of Sunday morning. Many churches see it as a social time, a family time, and there is nothing wrong with that. But for me, I need to be reminded to get my eyes off the bugs and get them onto Jesus. I need to be reminded of who he is, and who I am. For me, this is what I need on Sunday morning, and frankly every day. Maybe that is why my office opens up to a 100 acre field to the north where I can see the deer, coyotes, and an occasional bear.